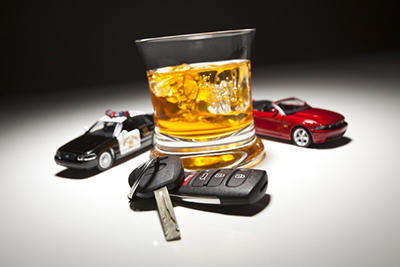 DUIs in Nevada can range from a misdemeanor to a felony depending on the facts. Nevada uses a 7 year offense window to determine if you will be charged with a DUI misdemeanor 1st, misdemeanor 2nd or a felony 3rd. It is possible to receive more than 3 DUI convictions and not be charged with a felony DUI, so long as you are not in the 7-year window and there is no substantial bodily harm or death. If you are charged with a felony DUI 3rd there may be diversion programs to keep you out of prison and prevent you from being a felon, such as the Serious Offender’s Program/ Felony DUI Program. There are several ways someone may be charged with a felony DUI regardless of the number of offenses and the 7-year period, this happens if you are charged with a DUI and there is substantial bodily harm or a death resulting from the DUI. Or you already have a DUI felony conviction on your record in any state. DUI charges are triggered when you have a BAC (blood alcohol content) of .08, .02 if under 21 years of age and .04 if driving on a commercial driver’s license, at the time of driving or within two hours of driving. You may also be charged with a DUI even if the BAC is below .08 under the impairment theory. Prohibited substances or drugs may also be grounds for a DUI in Nevada. A DUI 1st is a misdemeanor offense and carries a minimum of 2 days jail and up to 6 months jail, or 48 hours of community service. Typically you will be ordered to attend the Victim Impact Panel, DUI school, coroner’s program, stay out of trouble and pay a fine up to $1000. If your BAC is .18 or higher the court may impose additional treatment and restrictions. Your Driver’s license will be suspended for 90 days as well. A DUI 2nd is a second DUI offense within 7 years and is still a misdemeanor. It carries a minimum 10 days jail and up to 6 months jail, or house Arrest. You may be ordered to attend DUI school, Victim Impact Panel, Coroner’s Program and pay a fine up to $1000. Your Driver’s license will be suspended for 1 year as well. If you have a high BAC this may trigger harsher penalties. If you receive a 3rd DUI offense in 7 years, this may be charged as a category B felony and carries a minimum 1-year in prison and not more than 6 years in prison. Furthermore, it is not probational. Your Driver’s license will be suspended for a minimum 3 years. Do not take any DUI charge lightly, as you can see even a misdemeanor DUI can be used to bring a simple DUI to felony status in the future. If you have a prior felony DUI or receive a DUI and cause substantial bodily harm to someone or the DUI results in a death you will be charged with a felony from the beginning. If you are arrested for a DUI and the officer knows your BAC, typically from a intoxilyzer, the officer will fill out an Officer Certification of Cause and suspend/revoked your Driver’s license. If you did a blood test, the revocation may come later and you will be notified by mail. Once you are notified you have 7 days to request a DMV hearing and a temporary Driver’s license. This hearing is an administrative hearing to determine if there is reasonable grounds to believe you were operating a motor vehicle while under the influence. Your temporary Driver’s license is good until the DMV hearing results in a decision, if you lose the DMV hearing your license will then be suspended/revoked. If you win, it will be fully reinstated. Keep in mind the outcome of the DMV hearing has no impact on your criminal case, the DMV hearing is a much lower burden than the criminal case. Our firm includes DMV hearings as part of the DUI representation. Sometimes there may be multiple issues that your attorney can use as a defense, other times, one single issue might be enough. Your attorney needs to decide whether to focus on multiple issues with your case to build a defense or to focus one on single issue. If you have one single issue that may be you best defense since that one issue may be critical. Multiple issues may confuse a judge or jury allowing them to overlook the reasonable doubt you may be trying to build. However, if you case is riddled with defenses your attorney may still want to address this at trial. At trial the burden is on the prosecutor to prove his or her case, your defense attorney needs to poke holes in the case to create reasonable doubt or to prove you are innocent. Breathalyzer was not properly calibrated. There may also be issues with the stop or the search. Illegal searches and seizures may be grounds for your attorney to file a motion to suppress evidence, such as your blood, if your rights were violated. A good defense attorney will start with looking at whether the stop or police contact was even lawful from the beginning. You should always hire an attorney to go through the facts and discovery with you to see if any defenses are available. If you have been charged with a DUI contact the Law Offices of Adam J. Graves LLC for a free consultation.